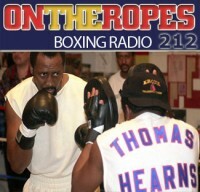 “On The Ropes” Boxing Radio is back this week with host Jenna J to talk about the most recent fights and news in boxing. In this episode, I will be discussing the fight that created an exciting 3 round war for boxing fans, Saul ‘Canelo’ Alvarez vs. James Kirkland. I will be talking about Canelo’s big knockout win and what this win does for him and the sport of boxing. Additionally, I will be talking about the aftermath of the Mayweather vs. Pacquiao fight and the record breaking numbers that the event generated. Lastly, I will be previewing this Saturday’s upcoming HBO title bout between IBO/WBA middleweight champ, Gennady ‘GGG’ Golovkin and boxcino tournament champion, Willie Monroe Jr. Just click on the audio player to listen to the show! The first guest on this weeks show is former super welterweight champion, Austin ‘No Doubt’ Trout, to discuss his seventh round TKO win over Luis Galarza. Trout also speaks about the three fight win streak that he is currently on and his road back to the top of the 154lb division. Austin also gives his views on Floyd Mayweather’s win over Manny Pacquiao and what he enjoyed from the big event. Additionally, ‘No Doubt’ talks about his future goals and how far he feels he is from reaching them. Making his debut appearance to ‘On The Ropes’ is Ray ‘Boom Boom’ Mancini. 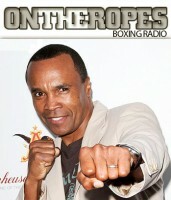 The former lightweight champ had an illustrious career in the 80’s that saw him amass a record of 29-5. 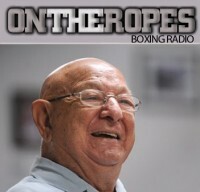 Ray shares his thoughts on his upcoming induction into the boxing Hall of Fame and what it means to him at this stage of his life. Mancini also talks about his recent work as a commentator for the Friday Night Knockout boxing series on truTV, and the exposure that boxing has been receiving on network television. Lastly, Ray gives his views on the outcome of the Mayweather-Pacquiao event and his take on Floyd Mayweather’s fighting style. 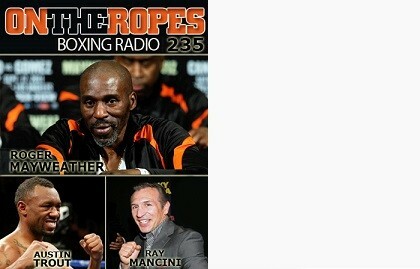 The main guest on this week’s show is none other than ‘Black Mamba’ Roger Mayweather. The long time trainer of Floyd Mayweather Jr. talks about his nephew’s performance in the ring with Manny Pacquiao on May 2nd. Roger expresses his desire to see a rematch between Floyd and Manny Pacquiao to eliminate all the doubts that remained after their first encounter. Roger Mayweather also comments on the aftermath of the fight and the revelation of Pacquiao’s shoulder injury. 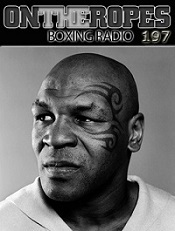 In conclusion, ‘Black Mamba’ talks about the legacy of Floyd Mayweather and when he expects him to hang up the gloves. 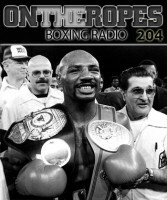 11 Responses to "Exclusive interviews with Roger Mayweather, Austin Trout & boxing legend Ray Mancini – On The Ropes boxing radio #235"
Roger wants re-match because he knows that it is Pacquiao who really won. Even the Golden Gloves CEO pointed out that the winner should been Pacquiao. Same sentiment made by Cambodia’s prime minister that Pacquiao was robbed of the win. The commentators (especially HBO who betrayed their very own Pacquiao), the man-manipulated Compu box scores and the judges gave the wrong impression who was the true winner of the contest. Mayweather landed less and the less-telling blows. Pacquiao landed more punches and was able to hurt Mayweather. Highlights will support this claim. No more rematch. Mayweather wins at all cost even with cheating. Pacquiao should not let HBO &,Top Rank get another big payday at his expense. How about a Broner vs. Maidana rematch? Or did Broner lose his manhood? Since refs like Kenny BrainLess will allow JailWeather’s excessive clinching (and use of elbows & forearms), his opponents are DUMBO y ESTUPIDO for not preparing how to be effective against the repeated ‘Grabbing & Holding.’ Sure they simulate Jail Jr’s left jabs & snapping rights but those are only 50% of his arsenal… Even DoucheWeather Jr. admitted:TYING U UP IS PART OF MY CRAFT. Manny was not hitting Floyd all them punches were being blocked Floyd was pop shooting with the always accurate punches neither of them looked impressive and certainly not for 100+ million I believe because of all the blocked punches Floyd won how we all pretty much knew before dropping 100 bucks on it,as for a rematch I’ll have to quote the saying fool me once shame on you,fool me twice shame on me…..
All Blocked? Lol, you must be blind. Watch again and mute it don’t listen to those one sided announcers and you’ll know what the result should be. First of all THE BEST RUNNER wants the playing field is level before he wil fight the midget. 1) He choose USADA for drug testing. So they tested (DRAINED BLOOD) Pacquiao 13 times, AGAINST NO NEWS FOR THE BEST RUNER. 2) He hired Heredia the well known drug guru to ensure that that it will be perfectly leveled. 4) The judges are under his payroll to guarantee the eveness of the field without warts and prick. 5) To make superb and really plain Playing field he choose BAYLESS to oversee and interfere for if he in danger Situation. 6) He bring with him in his locker room banned drugs he forget to disposed the bottle. 7) He is allowed to take cylocain even it is banned in any other state of America. 8)He promoted the so that everything under his control and under his payrol. 9) The announcers is propely instructed that he is very sharp even if THE BEST RUNNER in hiting the air the say that he is connecting. 10) The Result is not annouce yet the best runner is already on top oF the ring proclaiming he won. Only the blind will believe that THE BEST RUNER won boxing match. THIS IS THE WAY TO LEVEL/BULLDOZE THE PLAYING FIELD. Your cranium must be priotcetng some very valuable brains. This post features an unusually high amount of babble, even for Mencius. I guess it's hard to keep a straight-face and legal blood-alcohol level when recommending a course of action with such a stunning track-record of failure.Confusing Burke with Smith (who were at least contemporaries who tended to agree on most matters) isn't that surprising. He confused Frederick William I, Elector of Brandenburg with Frederick the Great .I'll write a real response tomorrow.